it turned out really well except latias's wing, it's kinda crooked...SORRY! the only legends I own are kyogre, regice, regirock, rayquaza, latias, and lugia. I have info on latios and registeel from gemdrop and the 3 birds and mewtwo from meh sister. WOW!UR ART VERY NICE but can u tell meh how to get pictures on here plz? !OMG!I JUST LOVE ALL OF THEM! even know u got latias' wing wrong!but how u put pictures on here plz tell meh! 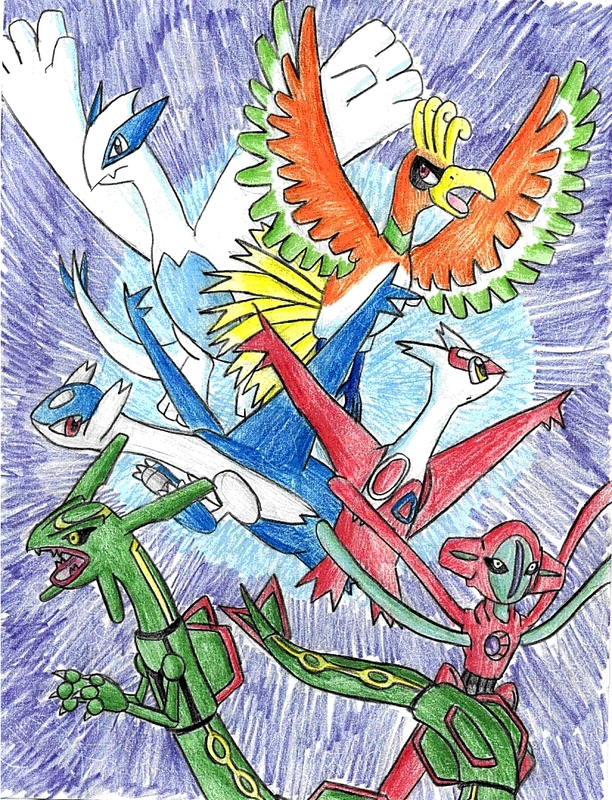 That rocks!Your awesome at drawing pokemon!